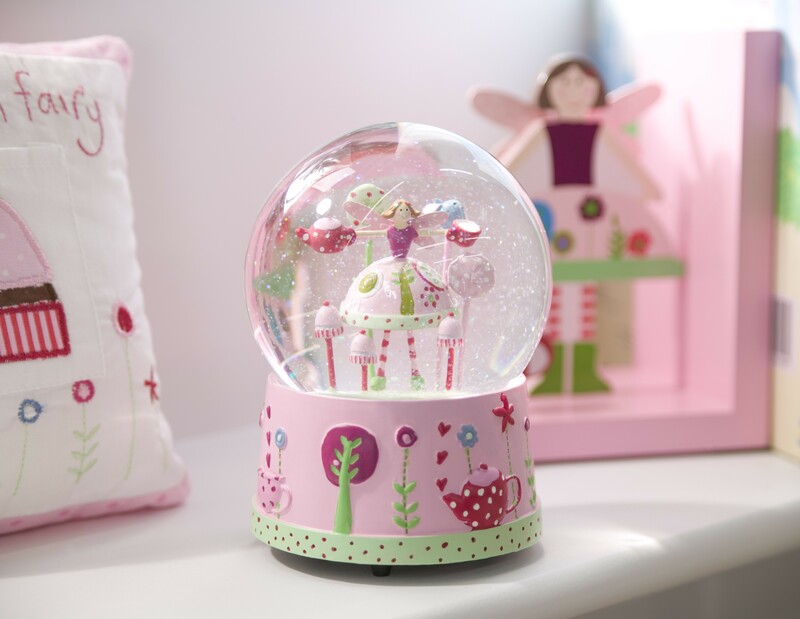 A gorgeous glitter filled snow globe from the Tea Party range by Gisela Graham. This beautiful musical dome has a fairy with a teapot, cup and cupcakes inside and plays 'Waltz of the flowers' when wound up. A truly delightful gift for a little girl.